Bro. Kenneth George Nagel, was Raised in 1972 in Liberty Lodge No. 299 in Santa Clara. After serving as its Master in 1995, he assumed the office of Secretary, a position he held for 12 years. An outstanding ritualist, Bro. Nagel served as Officer’s Coach for Liberty Lodge and won the state jurisdictional competition for the Staircase Lecture in the Fellow Craft Degree in 2005. A native Californian, Bro. 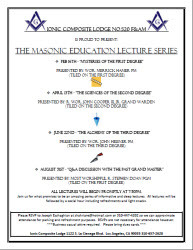 Nagel began his association in Masonry through the Order of DeMolay. He was Master Councilor of Santa Clara Chapter in 1969, holds the Chevalier Degree and the Active DeMolay Legion of Honor. He has served as Chapter Dad for both Santa Clara and San Jose chapters, as well as a member and Vice President of the Northern California DeMolay Foundation. Bro. Nagel served as Senior Grand Deacon of the Grand Lodge of California, having been appointed to that position by Most Worshipful Frederick L. Sorsabal in October, 2005. In addition he served as a Trustee and Vice President of the Masonic Homes of California for eight years, as well as a member of the Nob Hill Masonic Center, the California Masonic Foundation, and the California Masonic Memorial Temple. He has served Grand Lodge as Chairman of the Masonic Homes Endowment Committee and Chairman of the Fraternal Support Services Committee. In 1988, Liberty Lodge presented Bro. Nagel the Hiram Award for his many years of service to the Craft. Both an active Scottish Rite and York Rite Mason, Bro. Nagel served the San Jose Scottish Rite Bodies as Venerable Master of the Lodge of Perfection in 2000 and as Wise Master of the Chapter of Rose Croix in 2006. He also served as the Reunion Degree Director from 1998 - 2007. In 2007, he received the 33rd Degree, being coroneted an Inspector General Honorary in the San Jose Bodies. His achievements in the York Rite have also been extensive. He has presided as High Priest of his Royal Arch chapter, Illustrious Master of his Cryptic council, and as Commander of his commandery of Knights Templar. His rank as a Knight of the York Grand Cross of Honour recognizes his leadership in the York Rite, along with other honors such as the Grand Master of Ish Sodi Award in Cryptic Masonry, the Meritorious Service award in his Royal Arch Chapter and Knight of the Temple in his Commandery of Knights Templar as well as Cryptic Mason of the Year in 2005. 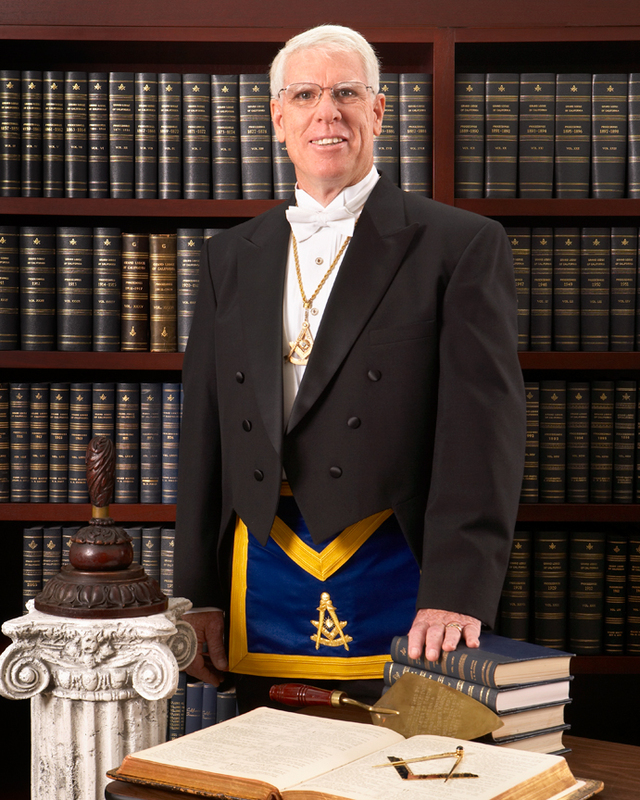 Continuing his love of ritual, he served as the Grand Director of Ritual for the Grand Council of Cryptic Masons of the State of California from 1998 until 2007. His other Masonic memberships include the Royal Order of Scotland, the Red Cross of Constantine, the Order of the Eastern Star, and the National Sojourners. He served the latter organization in 2001 as President of General Morrill W. Marston Chapter No 413 and in 2002 was Commander of the John Drake Sloat Camp of the Heroes of '76. The Order of the Eastern Star recognized his leadership in 1995 when he received the Rob Morris Award. He later served as Worthy Patron of his Eastern Star chapter in 1998. Bro. Nagel now lives in Santa Clara with his wife, Kathy. They met while he was in DeMolay and she in Job’s Daughters. They have been married now for 39 years. Their Son a Past Master of Whidby Island Lodge #15 in Washington, Daughter-in-Law, and Granddaughter who recently became a Rainbow Girl, live in Oak Harbor, Washington. Their Daughter, a Job’s Daughter majority member and Grandson live in Sunnyvale, Calif. Bro. Nagel retired from the United States Navy as a Commander in 1994 after 21 years of service and in 2006 retired as vice president of a small software company in the Bay Area. He earned a Bachelor of Science Degree in Administration of Justice from San Jose State University. He and Kathy are members of Hope Lutheran Church in Santa Clara. Brother Ken was elected GRAND MASTER at the 160th Annual Communication in October 2009. Brethren, ladies and friends, it is now my pleasure to PRESENT to you the 145th Grand Master of Masons in California, the Most Worshipful Kenneth G. Nagel.